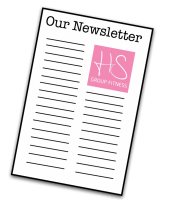 At HS Group Fitness we produce a fab newsletter which includes loads of information about our upcoming programmes, fitness tips and recipies for healthy eating. Our newsletter is a great way to find out more about our news, events and become part of our community of clients in the Calderdale area. Complete your details below to sign up to receive our newsletter!